BISMARCK – Agriculture Commissioner Doug Goehring has announced that applications are now being accepted for 2019 Specialty Crop Grants. North Dakota has not yet received an allocation amount from USDA’s Agriculture Marketing Service but is expected to receive it later this month or next month. 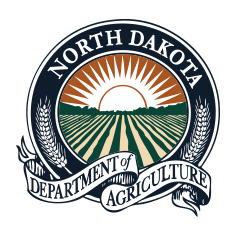 The North Dakota Department of Agriculture (NDDA) will distribute the funds through a competitive grant program. The USDA defines specialty crops as “fruits and vegetables, tree nuts, dried fruits, horticulture and nursery crops.” Specialty crops grown commercially in North Dakota include dry beans, dry peas, lentils, potatoes, confection sunflowers, grapes, honey and various vegetables. Goehring said an information manual with application instructions, scoring criteria and an application template can be found on NDDA’s website: https://www.nd.gov/ndda/administrative-services-division/specialty-crop-block-grant-program. Goehring said persons needing more information should contact Deanna Gierszewski at (701) 328-2191 or scbg@nd.gov.